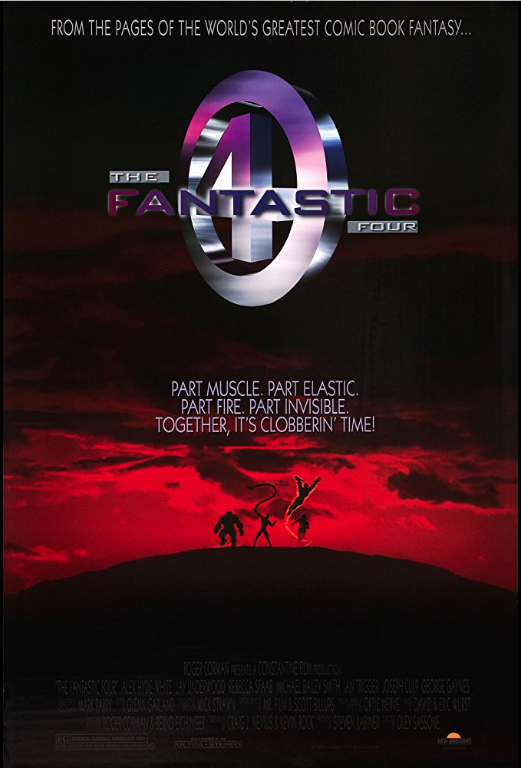 This week we’re going back to the late 80’s/early 90’s, when we almost, sort of, got big screen versions of Captain America and the Fantastic Four. Captain America was the closest of the two to almost be released in theaters. This one-sheet was actually sent out to theaters, before the studio pulled the plug and released the movie straight to video. Fantastic Four was a different story. The movie was never intended to see the light of day. The studio made the movie solely so that their rights to the franchise would not expire. At the time, not even the cast or crew knew they were making a movie no one would see, though eventually bootleg video copies got out. Regardless, of the quality of the films themselves, we still got two really nice posters.